Well, here I go again. 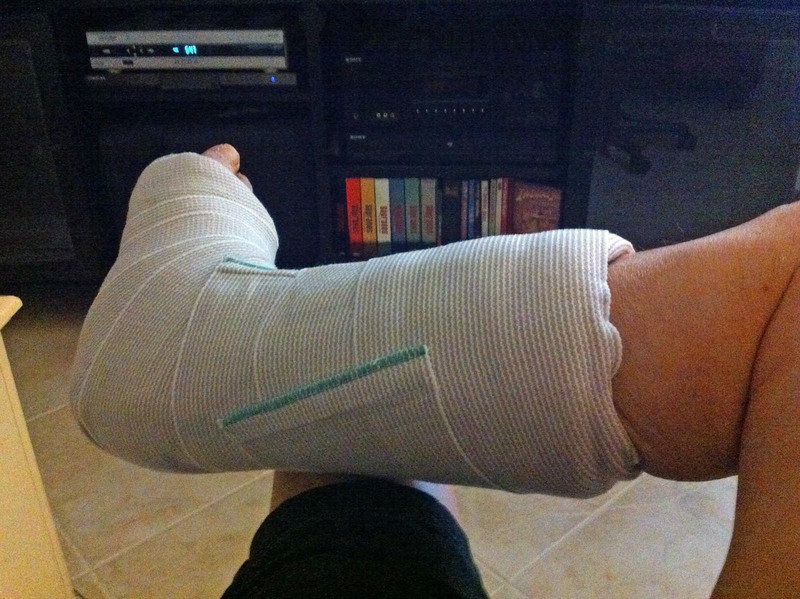 I had a third surgery on my Achilles tendon today (Aug. 27, 2015). It’s an ongoing effort to correct the post-operative issues after a repair of a ruptured tendon. No cast this time and another surgery is expected. Sigh. (UPDATE from Feb. 8, 2019: Due to the original surgeon’s ineptitude, I needed the three surgeries to complete the tendon repair — blessings on the third surgeon, as he was excellent; then, I had both knees replaced in 2017. All-in-all, not fun!) Click here to see my other photos about my injury.